Isaac Feliu had the most liked content! Videos of Big Bikes Being Ridden Well! Hey! 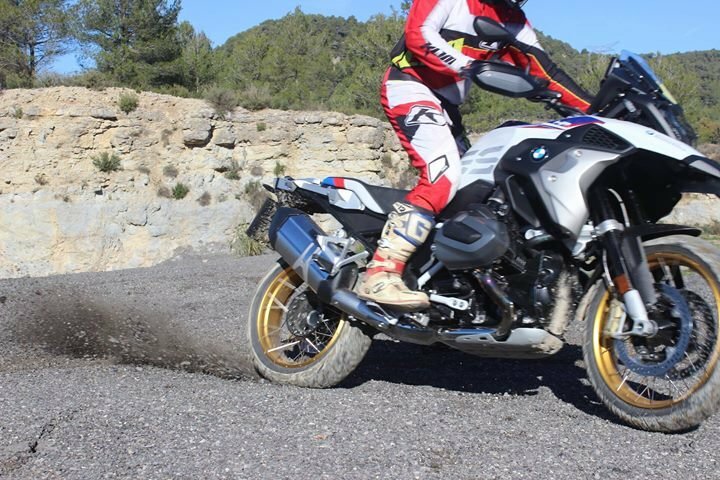 Yeah, the F800GS is working really well with all the effort and time, and money I throw at it, haha!!! I own also an R 1250 GS HP, but I don't plan to modify it for offroad usage, as the F800GS really works fine, it is light, powerfull and relatively cheap to fix/modify. On the 1200 everything is much more expensive and it is not so easy to fix or modify... but... who knows!!! Cheers!!! Yeah!!! I finished 3rd overall (It seems 1st, but the two faster ones were really fast, the winner has been several times spanish MX champion...). This was so fun and so exhausting at the same time... we will organize some racing like that on the MMM Spain! Cheers! Hey guys! This past weekend we had a blast here in Spain, on a very famous enduro race "BasellaRace1". This year, they organized a small big bikes race. It has been sooo fun!!! On this video you can see me racing my F800GS and ending 3rd overall. I was very exhausted because before that race I was doing the full 70kms enduro course (about 50 miles of enduro) with the same f800gs (yeah, not the proper bike...), but anyway, Happy with the result and I hope you enjoy the video! Cheers! Yeah! G/S is the way to go! And if you try the new 1250 engine... just WoW. Lots of power. I mean: Lots. Much better than the 1200 Liquid Cooled! Yay!